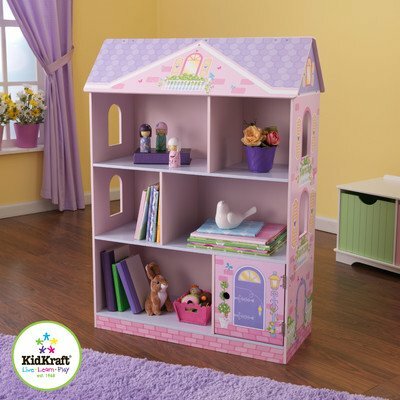 With our Dollhouse Bookcase, girls will have fun keeping their rooms tidy and organized. 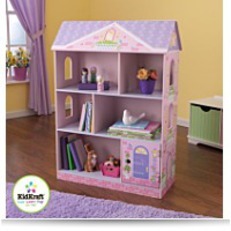 Features: Made of wood Sturdy construction Helps keep bedrooms tidy and organized Specifications: 29. 37"x 13. 25"x 40. 5"Material :MDF This cute furniture piece would make a great gift for any with each and every of the young princesses in your life.